2019/03/26（Tue）：Please check the official website. 2019/03/27（Wed）：Please check the official website. 2019/03/28（Thu）：Please check the official website. 2019/03/29（Fri）：Please check the official website. 2019/03/30（Sat）：Please check the official website. 2019/03/31（Sun）：Please check the official website. 2019/04/01（Mon）：Please check the official website. 2019/04/02（Tue）：Please check the official website. 2019/04/03（Wed）：Please check the official website. 2019/04/04（Thu）：Please check the official website. 2019/04/05（Fri）：Please check the official website. 2019/04/06（Sat）：Please check the official website. 2019/04/07（Sun）：Please check the official website. 2019/04/08（Mon）：Please check the official website. 2019/04/09（Tue）：Please check the official website. 2019/04/10（Wed）：Please check the official website. 2019/04/11（Thu）：Please check the official website. 2019/04/12（Fri）：Please check the official website. 2019/04/13（Sat）：Please check the official website. 2019/04/14（Sun）：Please check the official website. 2019/04/15（Mon）：Please check the official website. 2019/04/16（Tue）：Please check the official website. 2019/04/17（Wed）：Please check the official website. 2019/04/18（Thu）：Please check the official website. 2019/04/19（Fri）：Please check the official website. 2019/04/20（Sat）：Please check the official website. 2019/04/21（Sun）：Please check the official website. 2019/04/22（Mon）：Please check the official website. 2019/04/23（Tue）：Please check the official website. 2019/04/24（Wed）：Please check the official website. 2019/04/25（Thu）：Please check the official website. 2019/04/26（Fri）：Please check the official website. 2019/04/27（Sat）：Please check the official website. 2019/04/28（Sun）：Please check the official website. 2019/04/29（Mon）：Please check the official website. 2019/04/30（Tue）：Please check the official website. 2019/05/01（Wed）：Please check the official website. 2019/05/02（Thu）：Please check the official website. 2019/05/03（Fri）：Please check the official website. 2019/05/04（Sat）：Please check the official website. 2019/05/05（Sun）：Please check the official website. 2019/05/06（Mon）：Please check the official website. 2019/05/07（Tue）：Please check the official website. 2019/05/08（Wed）：Please check the official website. 2019/05/09（Thu）：Please check the official website. 2019/05/10（Fri）：Please check the official website. 2019/05/11（Sat）：Please check the official website. 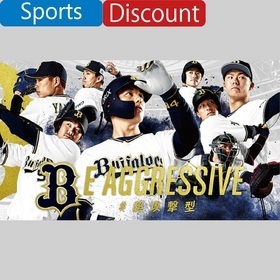 2019/05/12（Sun）：Please check the official website. 2019/05/13（Mon）：Please check the official website. 2019/05/14（Tue）：Please check the official website. 2019/05/15（Wed）：Please check the official website. 2019/05/16（Thu）：Please check the official website. 2019/05/17（Fri）：Please check the official website. 2019/05/18（Sat）：Please check the official website. 2019/05/19（Sun）：Please check the official website. 2019/05/20（Mon）：Please check the official website. 2019/05/21（Tue）：Please check the official website. 2019/05/22（Wed）：Please check the official website. 2019/05/23（Thu）：Please check the official website. 2019/05/24（Fri）：Please check the official website. 2019/05/25（Sat）：Please check the official website. 2019/05/26（Sun）：Please check the official website. 2019/05/27（Mon）：Please check the official website. 2019/05/28（Tue）：Please check the official website. 2019/05/29（Wed）：Please check the official website. 2019/05/30（Thu）：Please check the official website. 2019/05/31（Fri）：Please check the official website. 2019/06/01（Sat）：Please check the official website. 2019/06/02（Sun）：Please check the official website. 2019/06/03（Mon）：Please check the official website. 2019/06/04（Tue）：Please check the official website. 2019/06/05（Wed）：Please check the official website. 2019/06/06（Thu）：Please check the official website. 2019/06/07（Fri）：Please check the official website. 2019/06/08（Sat）：Please check the official website. 2019/06/09（Sun）：Please check the official website. 2019/06/10（Mon）：Please check the official website. 2019/06/11（Tue）：Please check the official website. 2019/06/12（Wed）：Please check the official website. 2019/06/13（Thu）：Please check the official website. 2019/06/14（Fri）：Please check the official website. 2019/06/15（Sat）：Please check the official website. 2019/06/16（Sun）：Please check the official website. 2019/06/17（Mon）：Please check the official website. 2019/06/18（Tue）：Please check the official website. 2019/06/19（Wed）：Please check the official website. 2019/06/20（Thu）：Please check the official website. 2019/06/21（Fri）：Please check the official website. 2019/06/22（Sat）：Please check the official website. 2019/06/23（Sun）：Please check the official website. 2019/06/24（Mon）：Please check the official website. 2019/06/25（Tue）：Please check the official website. 2019/06/26（Wed）：Please check the official website. 2019/06/27（Thu）：Please check the official website. 2019/06/28（Fri）：Please check the official website. 2019/06/29（Sat）：Please check the official website. 2019/06/30（Sun）：Please check the official website. 2019/07/01（Mon）：Please check the official website. 2019/07/02（Tue）：Please check the official website. 2019/07/03（Wed）：Please check the official website. 2019/07/04（Thu）：Please check the official website. 2019/07/05（Fri）：Please check the official website. 2019/07/06（Sat）：Please check the official website. 2019/07/07（Sun）：Please check the official website. 2019/07/08（Mon）：Please check the official website. 2019/07/09（Tue）：Please check the official website. 2019/07/10（Wed）：Please check the official website. 2019/07/11（Thu）：Please check the official website. 2019/07/12（Fri）：Please check the official website. 2019/07/13（Sat）：Please check the official website. 2019/07/14（Sun）：Please check the official website. 2019/07/15（Mon）：Please check the official website. 2019/07/16（Tue）：Please check the official website. 2019/07/17（Wed）：Please check the official website. 2019/07/18（Thu）：Please check the official website. 2019/07/19（Fri）：Please check the official website. 2019/07/20（Sat）：Please check the official website. 2019/07/21（Sun）：Please check the official website. 2019/07/22（Mon）：Please check the official website. 2019/07/23（Tue）：Please check the official website. 2019/07/24（Wed）：Please check the official website. 2019/07/25（Thu）：Please check the official website. 2019/07/26（Fri）：Please check the official website. 2019/07/27（Sat）：Please check the official website. 2019/07/28（Sun）：Please check the official website. 2019/07/29（Mon）：Please check the official website. 2019/07/30（Tue）：Please check the official website. 2019/07/31（Wed）：Please check the official website. 2019/08/01（Thu）：Please check the official website. 2019/08/02（Fri）：Please check the official website. 2019/08/03（Sat）：Please check the official website. 2019/08/04（Sun）：Please check the official website. 2019/08/05（Mon）：Please check the official website. 2019/08/06（Tue）：Please check the official website. 2019/08/07（Wed）：Please check the official website. 2019/08/08（Thu）：Please check the official website. 2019/08/09（Fri）：Please check the official website. 2019/08/10（Sat）：Please check the official website. 2019/08/11（Sun）：Please check the official website. 2019/08/12（Mon）：Please check the official website. 2019/08/13（Tue）：Please check the official website. 2019/08/14（Wed）：Please check the official website. 2019/08/15（Thu）：Please check the official website. 2019/08/16（Fri）：Please check the official website. 2019/08/17（Sat）：Please check the official website. 2019/08/18（Sun）：Please check the official website. 2019/08/19（Mon）：Please check the official website. 2019/08/20（Tue）：Please check the official website. 2019/08/21（Wed）：Please check the official website. 2019/08/22（Thu）：Please check the official website. 2019/08/23（Fri）：Please check the official website. 2019/08/24（Sat）：Please check the official website. 2019/08/25（Sun）：Please check the official website. 2019/08/26（Mon）：Please check the official website. 2019/08/27（Tue）：Please check the official website. 2019/08/28（Wed）：Please check the official website. 2019/08/29（Thu）：Please check the official website. 2019/08/30（Fri）：Please check the official website. 2019/08/31（Sat）：Please check the official website. 2019/09/01（Sun）：Please check the official website. 2019/09/02（Mon）：Please check the official website. 2019/09/03（Tue）：Please check the official website. 2019/09/04（Wed）：Please check the official website. 2019/09/05（Thu）：Please check the official website. 2019/09/06（Fri）：Please check the official website. 2019/09/07（Sat）：Please check the official website. 2019/09/08（Sun）：Please check the official website. 2019/09/09（Mon）：Please check the official website. 2019/09/10（Tue）：Please check the official website. 2019/09/11（Wed）：Please check the official website. 2019/09/12（Thu）：Please check the official website. 2019/09/13（Fri）：Please check the official website. 2019/09/14（Sat）：Please check the official website. 2019/09/15（Sun）：Please check the official website. 2019/09/16（Mon）：Please check the official website. 2019/09/17（Tue）：Please check the official website. 2019/09/18（Wed）：Please check the official website. 2019/09/19（Thu）：Please check the official website. 2019/09/20（Fri）：Please check the official website. 2019/09/21（Sat）：Please check the official website. 2019/09/22（Sun）：Please check the official website. 2019/09/23（Mon）：Please check the official website. 2019/09/24（Tue）：Please check the official website.